Starting your seedlings indoors is a great way to ensure success in the garden once the plants are transferred to your greenhouse or outdoors. But, you want to make sure you do it right. 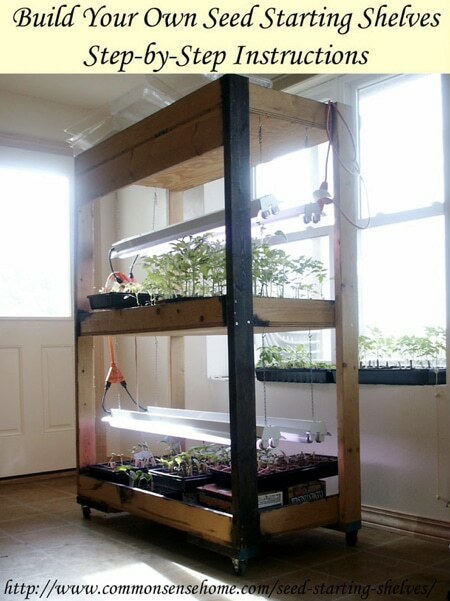 Here you will find very detailed, step-by-step instructions on how to build your own seed starting shelves. Check out the list of materials, head on down to your local supply store and you’ll be on your way.